Heavy rain lashing for last several days have wreaked havoc in different areas of Baluchistan as houses collapsed and roads washed away causing deaths in many areas. The rain also continued to lash on the provincial capital, Quetta. Heavy rains with thunderstorm were also reported in Zhob, Loralai, Musa Khel, Harnai, Dukki, Pishin, Khanozai, Kalat, Mastung, Sibi, Bolan, Awaran, Nasirabad, Jaffarabad, Jhal Magsi, Dera Bugti and other areas of Baluchistan province which caused damages to mud houses and roads. Two children were reportedly washed away in the flash flood and a man was killed while another eight people have sustained injuries due to lightning in the border area of Chaman. Several roads were washed away due to hill torrents in Chaman, Toba Achakzai, Toba Kakari, Gwadar, Turbat and Khuzdar districts. Power supply was also suspended in several areas due to heavy raining. As per Pakistan Metrological Department (PMD), heavy rains are also expected in Khyber Pakhtunkhwa in the next 4 days with High Risk of flash flooding in surrounding areas and very likely to intensify on Friday evening/night. The KP Government has already requested KP Provincial Disaster Management Authority and FATA Disaster Management Authority to be on alert and ready to respond should the situation worsen. Community World Service Asia is currently monitoring the situation. Its emergency response teams are ready and will start emergency response activities if required. Monsoon rains and flood continues to create havoc in different parts of the flood affected areas leaving thousands of families affected, number of houses destroyed, thousands of acres of ready to harvest crops and fruits orchards have been damaged, link roads and bridges destroyed. The Pakistan Meteorological Department (PMD) Director General Dr Ghulam Rasul has issued high alert in the wake of expected widespread heavy rain and flood, over the next five days. The PMD spokesperson added that the heavy monsoon was concentrating in Sindh where up to 500,000 cusecs of water was already flowing down the Indus at Guddu and Sukkur and the upcoming heavy downpour could aggravate the situation. According to the PMD the entire country is currently under an active monsoon system which might generate heavy widespread rains in coming days. National Disaster Management Authority (NDMA) also alerted that a sharp peak of High Flood is expected in River Jhelum at Mangla (upstream). 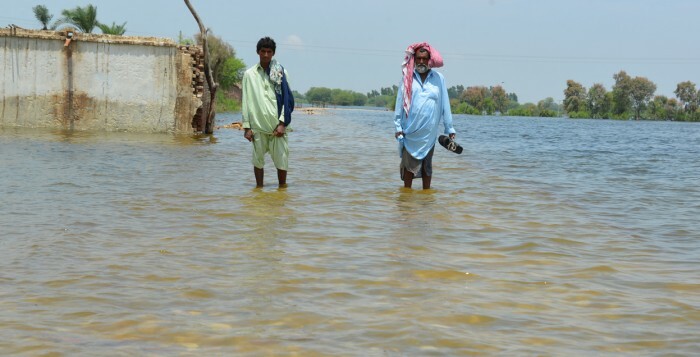 Sindh: Around 150 villages have been flooded in district Ghotki, Kashmore and Sukkur which affected around 1000,000 people. The continuous driving rains incited rivers to wreak havoc and forced the citizens to shift to safer locations along with their livestock. Along with the three already affected districts, the Provincial Disaster Management Authority of Sindh has forecasted that districts Khairpur, Larkana and Shikarpur are also at high risk of flooding in the coming two to three days which can affect thousands of families in these vulnerable districts. Anticipating displacement from these districts the district governments have established relief camps, health camps and livestock facilities at various embankments. 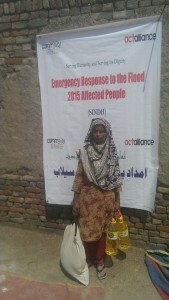 Khyber Pakhtunkhwa: Around 300,000 people in upper and lower Chitral are affected by flash floods. Twenty-six villages are affected in the district, where 145 houses were destroyed and 32 partially damaged. The roads linking Chitral with Drosh, Orghoch, Garam Chashma, Bamboret, Mastuj and Boni are destroyed. Dozens of other link roads, major bridges and the suspension bridges connecting valleys and villages have been swept away in the gushing waters. A hotel, a private college and around 25 water supply schemes have also been swept away. Search and rescue operations are currently underway by Pakistan Army. Relief camps have been established in the affected areas while Government has announced PKR 500,000 for each of the completely affected households. Furthermore PRCS has distributed tents, kitchen sets, hygiene kits, Mosquito nets and blankets to 29 flood affected families. KP government has transported 20 tons of food packs to district Chitral. Gilgit-Baltistan: Flash floods have cut off at least three valleys in Diamer and Baltistan. 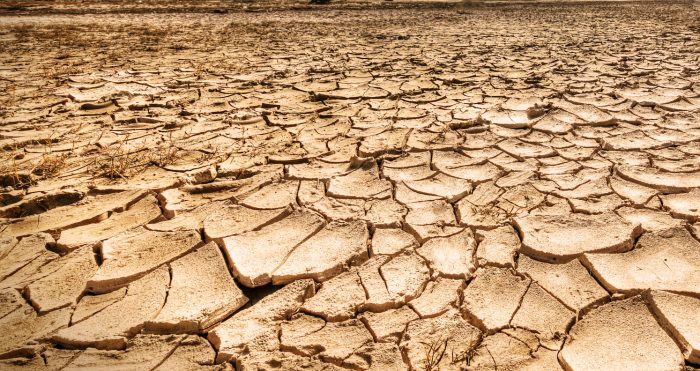 The valleys in Diamer – including Niat, Buner and Fairy Meadows – have been experiencing food shortages because of lack of connection with the outside world. 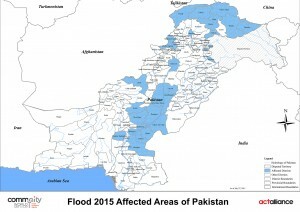 Ghanche and Skardu are the worst affected districts of GB. Fast melting glaciers in the northern areas of the country during monsoon season and the resultant flash floods is a wake-up call for the K-P and G-B governments to start planning to tackle the situation. Punjab: At least 244 villages of Mianwali, Layyah, DG Khan, Rajanpur, Rahimyarkhan and Muzaffargarh districts are inundated by the flood water of Sindh River. According to NDMA, 11 villages in Mianwali, 81 in Layyah, 40 in DG Khan, 14 in Muzaffargarh, 82 in Rajanpur and 16 villages in Rahimyar khan are affected by the flood. Crop fields spread on thousands of acres have been destroyed, while more than 100 families have moved to safer areas on their own due to insufficient arrangements made by the district and tehsil governments. A large number of people are stranded in the flooded localities. The urban localities which are on the bank of Lai Nallah in district Rawalpindi have also been flooded while due to the rain related incidents in the district, a girl has died during the last 24 hours. 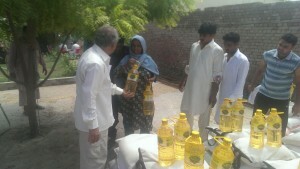 Government has established 120 relief camps in six districts of the province. Each camp will accommodate 500 people. 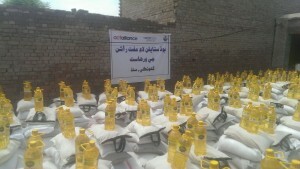 6,000 tents and 10,000 food packs are distributed so far. 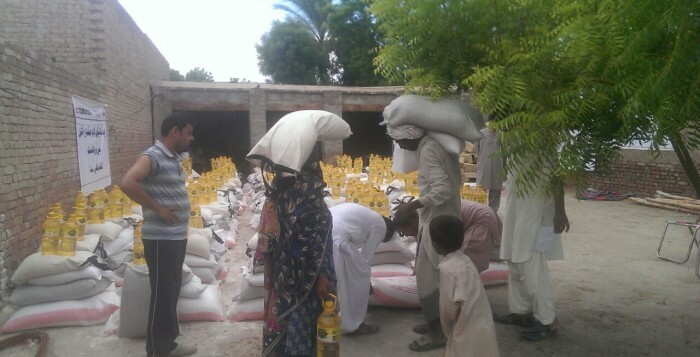 Baluchistan: Heavy rainfall, windstorm and the flood situation in District Zhob has damaged flood protection bunds, electric poles, roads, uprooting trees, etc. Also caused breaches at various locations to the protection bunds claiming four lives so far. In central province, at least twenty-one people drowned in the flood water where only seven dead bodies recovered while search and rescue operation is underway for the recovery of the rest of the drowned people. Sindh being the tail-ender has always been the most affected province and is likely to be among the most affected by recent rains and flooding in the coming couple of days. 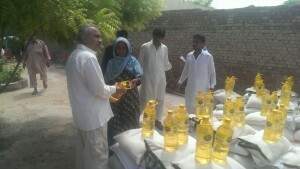 Community World Service Asia has operational offices and teams in Sindh. Its senior management team, including Regional Representative and Associate Director for Emergencies is on the ground monitoring the situation and will be leading the emergency response. The field team is coordinating with key stake holders to plan to address emergency needs of the population by providing food, NFIs and emergency medical assistance in affected districts. Torrential rains have created havoc in different parts of the country making life miserable for the residents of the affected areas. District Chitral is on top of the list of the worst affected districts where Infrastructure has been the worst-hit and the upper areas of the district have virtually been cut off from the rest of Chitral, leaving as many as 200,000 people stranded. Kyber Pakhtunkhwa: Initial assessment has revealed massive damages, while officials have reason to believe that the actual situation could be much worse. The PDMA said the available machinery and manpower had already been deployed for temporary opening of routes to restore communication. Around 40 connecting bridges and more than 200 smaller bridges have been washed away. An estimated 175 houses were completely destroyed while over 200 others were partially damaged. Three towns of Latkoh tehsil – Garam Chashma, Arkari and Karimabad – have been inaccessible for the past six days. 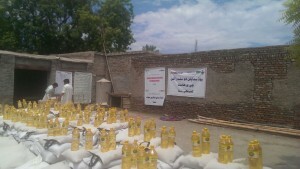 Electricity and water supply systems have also been destroyed, while a shortage of edible items has also been reported. Standing maize and vegetable crops, and the villagers’ cattle and other belongings were swept away, but no loss of life was reported there. However, a girl was killed in the Bakarabad area of Jamrud in Khyber Agency when the roof of a house collapsed because of the heavy downpour. 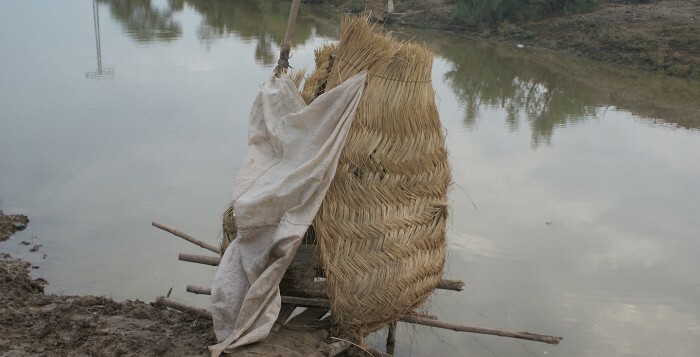 Punjab: Around 100 villages have been flooded in district layyah, while due to high level flooding in Indus river, thousands acres of crop has been destroyed in district Rajanpur and adjacent areas. The affected people are compelled to evacuate the area and to move to safer places. Balochistan: Three children were killed and more than a dozen people injured in rain-related incidents in the northern parts of Balochistan, where torrential rains played havoc and disrupted road communication. The protection wall of Sherani was washed away by hill torrents as well, flooding the residential township and the nearby villages. A bridge linking Zhob and Sherani also collapsed, suspending road communication. Heavy rains were also reported in Ziarat, as the downstream in Sibi Valley of the plains was inundated. Sindh: At least 10 people drowned while swimming or accidentally falling into waterways in separate incidents. The flood water is expected to reach Sindh districts and affect the low lying areas on the bank of the rivers in the next few days. 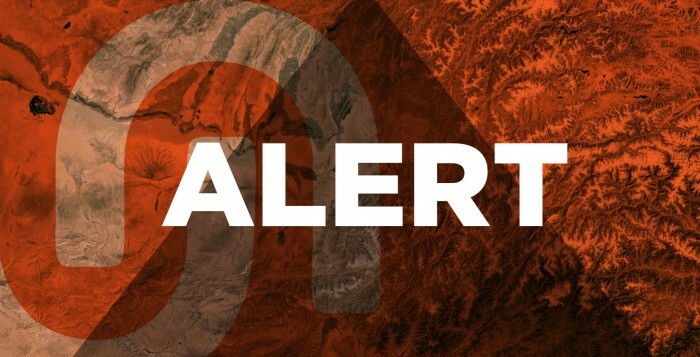 The PMD has issued a red alert for flash flooding in local nullahs and streams of Punjab, upper K-P, eastern Balochistan and Kashmir for the next three days. The Met Office has warned the local authorities to take preventive measures to avoid any kind of human or property loss. PMD meteorologist Muzammil Hussain said the second spell of monsoon would continue across the country until July 30, with weak to moderate showers with short intervals. He said hot and humid weather would persist across the country, adding that the humidity level had reached 70 per cent. Community World Service Asia is currently monitoring the situation and will respond if the emergency assistance is required. At least 11 people got killed and 11 went missing on Thursday while being washed away by flash floods in the Khuzdar Shah Norani area of Baluchistan. As reported by Levies sources, the flood occurred in the streams and nullah due to heavy rainfall in the Kohan area of Shah Norani. 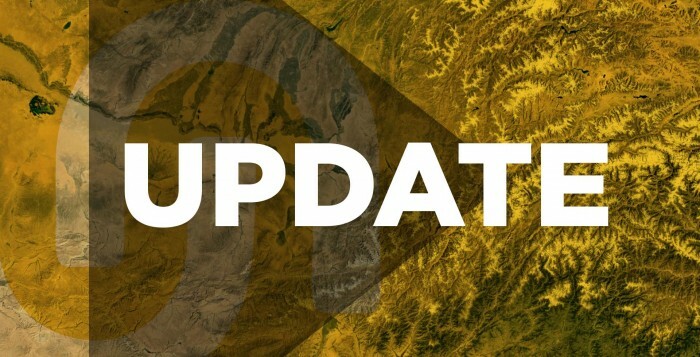 According to initial reports, residents of the area were not able to evacuate in time before the flood hit the capital city of Khuzdar district of central Baluchistan. As many as 22 people are believed to have drowned in the water and 11 dead bodies were removed by the local residents. However, the search for the 11 missing persons is still underway. The rains made the region inaccessible to the rescue teams who tried to access the site to make rescue efforts; more contingent levies has been dispatched to the affected area for rescue activities. Further, a recent study suggested that as many as 2.7 million people could be affected yearly by river-floods in Pakistan by 2030; while the number of people affected by floods every year could reach 54 million globally. 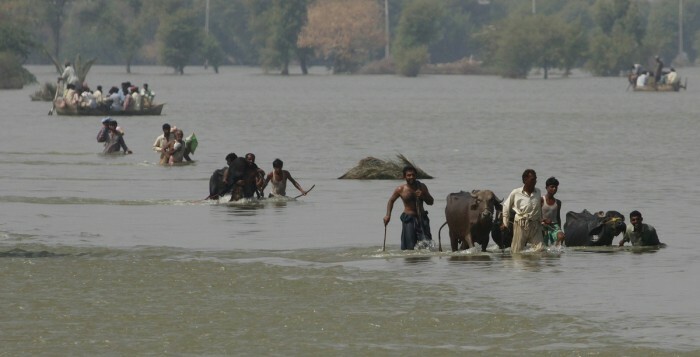 Currently, an estimated 715,000 people in Pakistan are affected by floods every year. Last year, nearly a million people were affected by the floods.